It goes without saying that health care’s monumental complexities were not news to the governors, nor really to anyone else. The system’s many layers and players in fact make even minor reforms some of the most complicated and challenging tasks facing lawmakers today. Not that it has stopped anyone from trying. 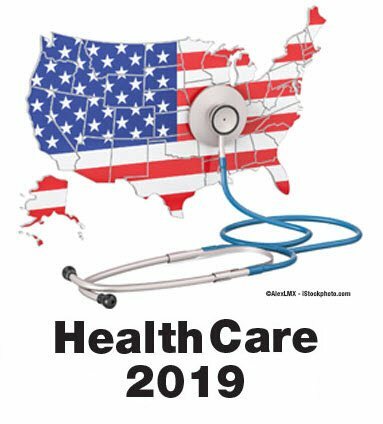 Governors and lawmakers in statehouses across the country are currently weighing a plethora of health care proposals, including but not exclusively focused on the Affordable Care Act, Medicaid expansion, single-payer health care systems and the high cost of prescription drugs. To better understand how a few of these proposals fit into this year’s broader legislative picture, we sat down recently to talk about several of them with two of the nation’s most respected voices on health care: Diana Dooley, former Secretary of the California Department of Health and Human Services and a former Chief of Staff to Gov. Jerry Brown (D), and Dr. Micah Weinberg, President of the Bay Area Council Economic Institute. With respect to the limited space here in this venue, we are only going to focus on one specific issue, the push in a growing number of states to adopt their own mandate that individuals have health insurance or pay a penalty. The full broadcast of the discussion covering all of the issues noted above can be accessed here. One of the big challenges for states has been dealing with the fallout of changes made to the Affordable Care Act. While the change of control in the U.S. House of Representatives in January appeared to ensure the health law was safe, previous changes made to the law by Congress are still being felt in a negative way at the state level. One of the most notable is the loss of the so-called individual mandate, the requirement that all people have health coverage or pay a penalty. To counter that, some states have previously implemented their own statewide individual mandates, including Massachusetts (since 2006), Vermont and New Jersey. Several more, including Hawaii, Rhode Island, Oregon, Maryland, Minnesota and California, are now considering their own mandates. Dooley believes the ACA is on sounder footing than some critics might think, but she also notes the need for a way to ensure health insurance pools are able to spread risk around. Whether a large number of states implement their own mandates this year is yet to be determined, but the road forward even in blue states is not wide open. The challenge, of course, is political. The mandate was in fact one of the most unpopular aspects of the Affordable Care Act from the law’s beginning. It is also the crux of the most visible current threat to the law’s existence. Last December, citing Congressional removal of the ACA’s individual mandate, a federal judge in Texas ruled the entire law unconstitutional. Although most legal observers believe Judge Reed O’Connor’s contention that “the Individual Mandate ‘is essential to’ and inseverable from ‘the other provisions’ of the ACA” will be overturned on appeal, it nonetheless continues placing the law in jeopardy. And that creates something some states likely dislike even more than the mandate: uncertainty. The LAO report notes such a law would also be “at odds with the goal of raising revenue for insurance subsidies” because as fewer people pay the penalty, less revenue is generated to pay the subsidies offered for plans bought through the health benefits exchanges. The individual mandate is just one of several hits to the ACA and the exchanges over the years. The Trump administration, for example, cut tens of millions of dollars in 2018 from the budget for advertising the open enrollment period for buying coverage through a state or federal exchange, while also drastically reducing the open enrollment period itself. The Trump administration has also allowed consumers the option of extended purchases of so-called “skimpy pans,” lower-cost short-term plans that offer significantly less comprehensive coverage than more standard plans. During the Obama administration, such plans were limited to a lifespan of no more than three months, the Trump administration now allows people not only to buy those plans for as long as 12 months, but to renew them twice. Even so, he notes one area he believes lawmakers should focus attention. There are lots of reasons for that, he says, but he adds it is something lawmakers must keep in mind as they work on legislation to bolster the ACA and the exchanges the law relies on. Even with all of the challenges and setbacks for the law, Weinberg contends its successes far outweigh its losses. 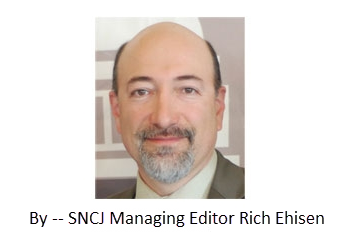 Most notable, he says, is in cost controls. While all medical costs have continued to rise, he argues that the degree of increase has slowed considerably in the age of the Affordable Care Act. Furthermore, it has done so while providing more coverage to more people than ever before. As noted, the debate over individual mandates is just one of many lawmakers will consider this year. Medicaid has of late dominated legislative activity. 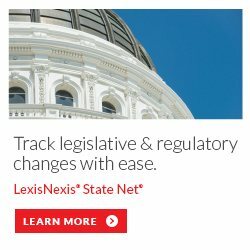 According to LexisNexis State Net, as of last Monday just under 800 Medicaid-related bills are currently active in statehouses across the country, more than those dealing with pre-existing conditions (225), drug pricing (200), the ACA (176) and single-payer systems (53) combined. With divided government not likely to end federal gridlock any time soon, these or any other reforms are likely to come first at the state level. And if, as once noted by former Supreme Court Justice Louis Brandeis, states are truly the laboratories of democracy, maybe that is the way it should be.